David Kelman's recipe uses every part of a wonderful saddle of lamb, making the most of any offcuts to create a mince that protects the loins during cooking. Slow-cooked lamb rumps also appear in the dish, creating a layer of surprise in an accompanying potato terrine. 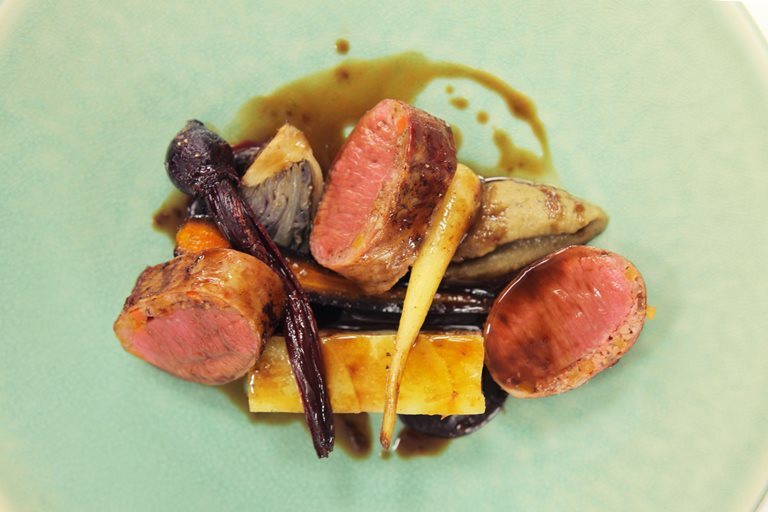 View our recipe video for top tips on recreating this dish.